Cillian is a Director in Deloitte’s Consulting practice and leads Business Development for the firms EMEA Blockchain Lab. Cillian’s work at Deloitte has included the development of a Track and Trace Blockchain, the Irish Funds Regulatory Reporting Blockchain and a Blockchain for Funds Distribution. 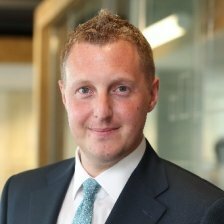 Before joining Deloitte, Cillian worked for Fenergo as Heads of Digital and Client Solutions Consulting as well as for DST Systems where he was APAC Sales Lead.